"Was very responsive with revisions. Love it. " "Natu Xatu was very easy to work with. He listened to my request and understood what I wanted. He didn't mind refining my design over and over again until I was absolutely happy. Out of over 170 designs submitted, Natu Xatu got it right straight up. ..."
"With about 170 designers contributing to our contest, Natu Xatu definitely separated himself from the pack. His sheer talent and keen eye for branding is unparalleled. Astounding communication skills and an artist who goes over and beyond to deliver on ..."
"Good and friendly guy! I would recommend him." "Great design skills, excellent communication and turnaround time for tweaks, would work again with him any time. Really pleased of the outcome!" "Absolutely wonderful designer. Clearly researched the organisation and developed for us a beauitful, unique design that captured and communicated many layers. This designer was responsive, professional and an excellent commuicator. Would highly recommend"
"...it was great fun working with Natu Xatu! Brilliant Work! From the early beginning he created beautiful logos and icons, provided me with lots of material at an early stage and quickly found the right tone, interpretation and aesthetics for my philoso..."
"Absolutely amazing, professional and goes above and beyond to meet client needs. Would work again with Natu Xatu in a heartbeat." "Natu Xatu was a pleasure to work with. Consistently creative entries and always obliging to make changes or show me alternative options. 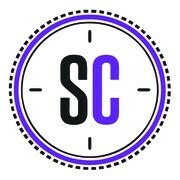 My whole team have fallen in love with our new logo and are looking forward to launching our new image over the ne..."